There are many reasons that I'm excited about my friends' soon to be popped out babies. Mostly though, it has to do with how cute baby clothes are and my desire to turn their children into my own personal dolls. Or monsters. Whatever. 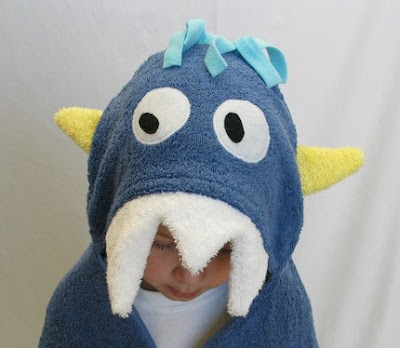 This bathrobe is adorable, affordable and is reminiscent of Where the Wild Things Are. I wonder if they do adult sizes? I just know I like the monster look.